Property 4: Ground level with handicapped parking and free WiFi. The place to be any season. Property 6: Ground-level 3 BR condo beside pool. Golf, Pool, Tennis, and Family Fun. Property 9: Great Location, Oceanfront Pool and Steps from the Beach! Property 10: Spacious, First Floor Corner Unit, brings outdoors in w/ magnificent pond view! Fishing, Kayaking,Beach Fun and Pet Friendly On Sunset Beach! Property 12: Fishing, Kayaking,Beach Fun and Pet Friendly On Sunset Beach! Property 14: Island home - on Canal - BOOK NOW for Spring/Summer 2019! Property 15: Shell House - Less than a block to beach access and newly updated! Property 19: SUNSET BEACH Golf/Beach - RENTING FOR 2019! Family And Pet Friendly On the West End of Sunset Beach ! Property 26: Family And Pet Friendly On the West End of Sunset Beach ! 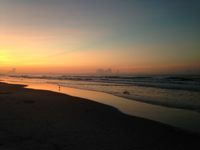 Property 29: Beat the Winter Blues: Book your 2019 Summer Vacay at SSB! The Birdhouse Is Your Family Getaway On Sunset Beach,and We Are Pet Friendly! Property 39: The Birdhouse Is Your Family Getaway On Sunset Beach,and We Are Pet Friendly! Incredible beach front property with amazing views of the ocean and inlet! Property 43: Incredible beach front property with amazing views of the ocean and inlet! The Sea Palm, A Coastal Cottage Steps From The Beach!!! 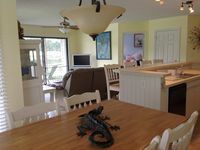 Property 46: The Sea Palm, A Coastal Cottage Steps From The Beach!!! N Myrtle Beach Home on Channel - Walk to Beach! Property 50: N Myrtle Beach Home on Channel - Walk to Beach!